Woo-Hoo!!! Congrats to you and everyone involved in making Smashwords such a great publisher. #1 next year for sure. I just believe in supporting your publisher, especially if they offer something more than just being published. 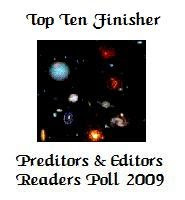 Mark Coker has done a terrific job of keeping so many happy at Smashwords. At last a self publishing avenue that works! Congratulations to the Smashwords team! And yes, #1 next year sounds just right.